Learn how to identify and effectively treat dollar spot fungus in lawns without using toxic chemicals! Infection by dollar spot (Sclerotinia homeocarp) appears as tan or straw-colored spots ranging in size from a quarter to that of a silver dollar sunken in the turf. Occasionally, small cottony strings of the fungus can be seen growing from the diseased leaf blades. Dollar spot occurs throughout the growing period, and is most active during moist, warm days and cool nights. 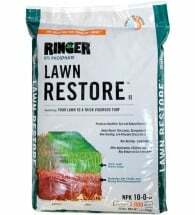 As the disease progresses, individual spots may join to destroy large patches of lawn. 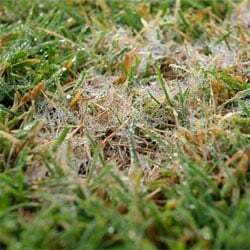 It occurs widely on golf greens, but may also be a severe problem on lawns growing under dry soil conditions. 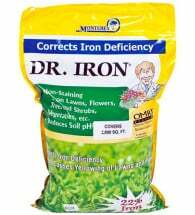 Turf damage is usually more severe if there is a deficiency of nitrogen. Disease fungi are spread from one area to another by water, wind, mowers, other equipment or shoes. 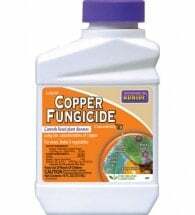 Bonide® Liquid Copper is a natural formulation used to protect everything from turf to vegetables, to flowers and fruits. Mix 1.5 to 6 oz with 2.5 gallons of water and apply to 1,000 sq. ft. For best results, start 2 weeks before problems normally occur. Repeat at 7 to 10 day intervals for as long as needed. 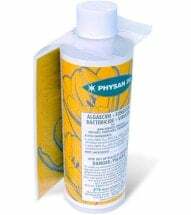 Physan 20 works on a variety of disease outbreaks affecting lawns, turf and grass. Add 1 Tbsp per gallon of water and spray over problem areas, repeat as needed. One pint treats 6,400 square feet. Cut grass at the recommended maximum height. Try not to remove more than 1/3 of the leaf surface in any one mowing, and if possible, wash the mower between cuttings with a 10% bleach solution. Remove excess thatch and aerate compacted soils. Improve drainage by top-dressing with organic matter such as organic compost or well-aged animal manure. Keep lawns well watered, but avoid irrigating in the late afternoon or evening — do NOT over water. 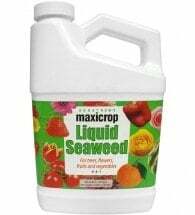 Apply a slow-release organic fertilizer high in nitrogen; applying liquid seaweed and chelated iron is also helpful. Do NOT over fertilize, since this can result in an increase of other turf grass diseases such as brown patch. Over seed in the fall with resistant turf cultivars.